Hats off to the Wallis Collection! There’s fun to be had matching hats to their respective centuries: We can’t think of Stuart courtiers without those dashing, be-feathered hats, nor Georgian gentlemen without their distinctive three-cornered cocked hats (anachronistically called ‘tricorns’ by a later age) – or even black n’ white Hollywood movie heroes without their fedoras. And the same goes for the Victorians, who wore six to seven inches of beaver fur, or latterly silk, rising from their heads – the so-called ‘chimney pot’ or ‘stovepipe’ hat which for a time was worn by almost all men of all classes and occupations in the western world. This picture from my collection shows four splendid fellows all sporting glossy hats, circa 1858. The nap of one of the ‘stovepipe’ hats in my collection is worn away on the front brim, where the owner must’ve spent all his time doffing his hat to his superiors and the ladies. 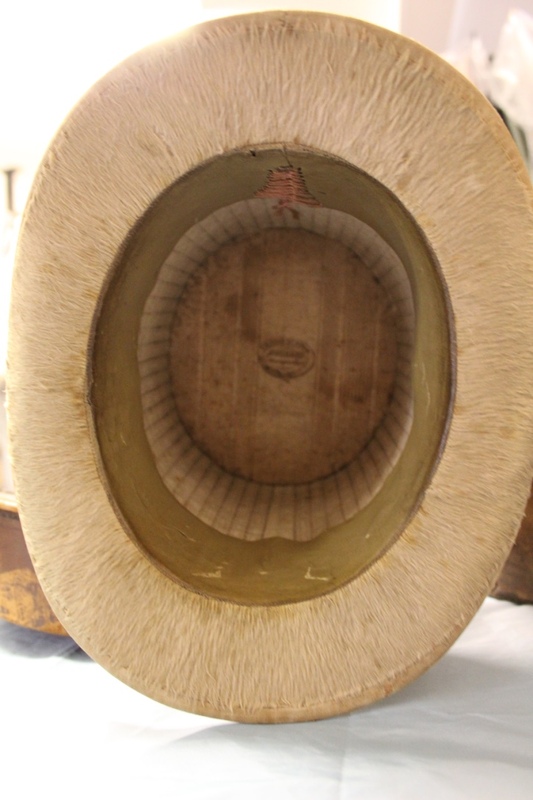 The top hat conquered all other forms of headwear for a while – to such an extent that the Birmingham japanners in the 1850’s manufactured japanned papier-mâché top hats for those that couldn’t afford even a few coins to buy a second-hand beaver hat. The Duke of Wellington loathed bad hats and was highly critical of those that wore them. 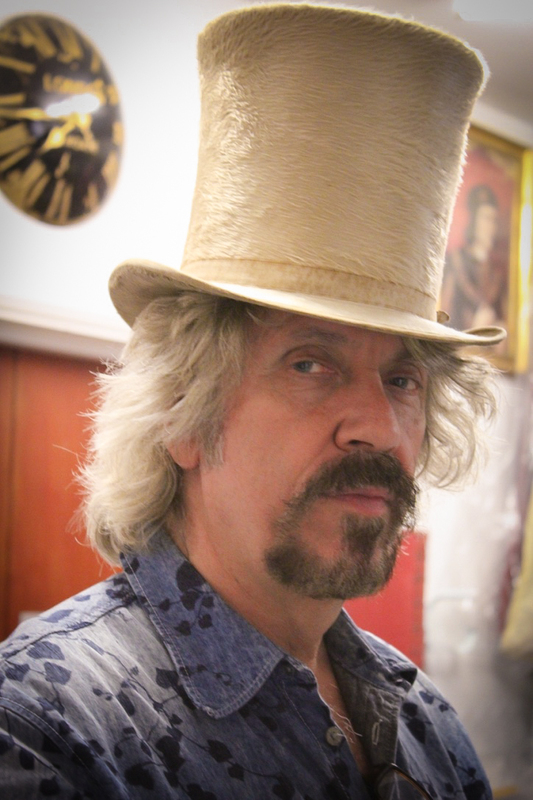 (The costume collection of Hereford museums service has one of the Iron Duke’s toppers and I was pleased to see that his hatter was the same firm that produced one in my collection). The prolific mid-Victorian author R. S. Surtees had a nice eye for male dress and manners and in several of his novels he refers to the habit of gentlemen leaving their top hats on the hall table whilst visiting friends; the heroes of his novels, on arriving late, decide whether or not to proceed with the visit, based solely on the hats in the hall – the owners, whether boring or fun, were known by their headgear. Henry Mayhew’s seminal work on mid-Victorian poverty ‘London Labour & the London Poor’ depicts even ragged ballad sellers sporting high hats, in a pitiful attempt to appear respectable. (Even the term ‘high hats’ is indicative of power and influence, as ‘Big Wigs’ is for the Georgians). And early photographs exist of destitute ex-soldiers, posing for the camera in their Waterloo Medals and toppers. 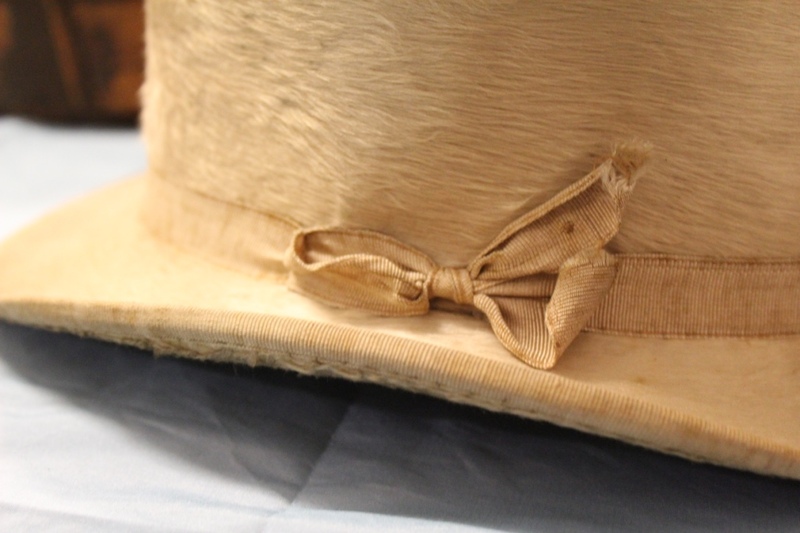 The Wallis Collection holds twenty five such hats (I just love them!!) spanning the entire century, and the height, crown and brim shape vary according to the prevailing mode of the decade. And although most of them are black I have a couple of brown ones and a few that are white/cream – the ne plus ultra of top hats! Please keep reading all about the Wallis Collection, and leave your comments below. If there’s any particular items you would like me to discuss, or indeed any question you’d like me to answer, you can leave those here, too! 3 Comments on "Hats off to the Wallis Collection!" Receive an email when a new post is added!